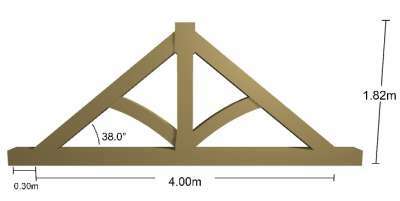 We've put together a range of standard trusses in different style to inspire you. 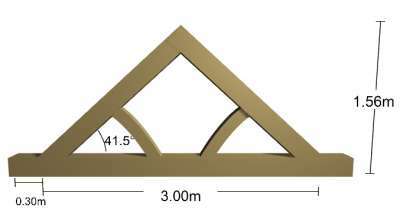 Clicking on a pre-designed truss below will take you to our 3D designer where you can fully customise it. A traditionally proportioned, shaped king truss. You'll find similar trusses in barn conversions up and down the country. A classic, exposed truss. An elegant truss with no central king post. The braces are curved slightly, adding to its stylish look. A traditional truss with no inner braces. One of the many styles of truss we supply. A classic, "chunky" oak truss with large thick parts, a shaped middle king post and attractive curved centre braces.